Group 2: did intense resistance training four times a week. Group 3: did a multi-dimensional regimen; including resistance exercise, interval sprint exercise, stretching led by a yoga instructor, and endurance exercise. Arciero found that Group 3 who had completed the multi-dimensional regimen showed the greatest health improvements. the greatest reductions in body weight, total and abdominal fat mass, waist circumference, and blood glucose. the greatest increase in percentage of lean body mass. However, all groups did show improvements – even those in Group 1 who maintained a sedentary lifestyle and simply ate the assigned daily 60 grams of protein. Overall the study supports Arciero’s belief that we often place too much focus on the quantity of exercise rather than the quality. 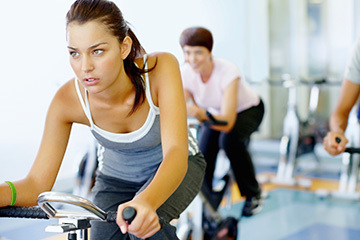 So if your goal is to lose weight or get fit, then your workout routine should encompass resistance exercise, interval sprint exercise, stretching (including yoga or pilates), and endurance exercise. More importantly, it should include moderate amounts of protein regularly throughout your day! Rich source of protein with 18g per serving – 36% of the Daily Value. Proprietary Protein Blend – Scientifically advanced protein blend from soy, milk, caseinates, and whey for superior amino acid profile, with a PDCAAS of 1.73. 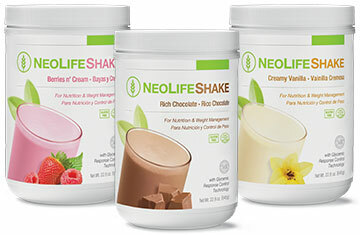 Rich source of protein with 10g and fiber with 5g from the NeoLife proprietary protein and fiber blend to help you feel fuller longer.